Sergio Canales has reached an agreement with the club about his pay check and will join Valencia CF on a two year loan deal worth 2 millions euros or 1 million euros per season with an double purchase option. After the two years of loan Valencia CF can choose to purchase the player for 12 million euros and Real Madrid can then purchase the player themselves for a fee of 18 million euros. The deal says that Sergio Canales can't play against Real Madrid and reportedly this is why Villarreal broke the negotiations for Canales. 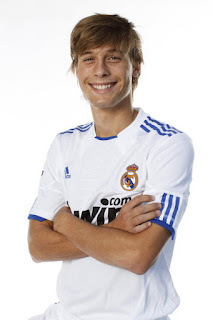 Sergio Canales came last season to Real Madrid from Racing Santander for 6 million euros, but has failed to play much at all in Real Madrid under Mourinho and the coach and player have looked to part ways, with Valencia doing a smart move and lending him. This makes our attacking midfield even more potent and dangerous and increases the competition so much more. Valencia CF is still in the transfer for a central defender and there are few players we have talks at this moment with Mangala transfer coming do a sudden stop.